Bad things happen to good people. Should anyone or anything get injured, damaged, or destroyed on your property, you very likely can be held financially liable. The sad thing is, you can be held liable even if the accident was no fault of you or your family. 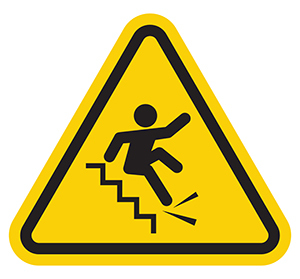 Often times the accident need only occur on your property to result in judgment against you. This is where a personal liability coverage policy not only protects you from financial loss but will give you the peace of mind to rest easy. Personal liability coverage pays for bodily injuries to other people (or damage to their property) caused by the unintentional acts of all family members (and pets) that occur on or off your home’s premise. The policy will pay medical payments for other people’s personal injury up to specified limits of the policy. Personal liability covers other things that sound complicated on paper, but are easily explained. Your friends and neighbors at Tristate stand ready to go to work for you. Submit a request for an immediate personal liability insurance coverage quote. Also, we invite you to call us anytime for a no obligation insurance consult.